The Rapid.Tech+Fab Con 3.D trade show has begun! From 5 to 7 June 2018, key players from the world of additive manufacturing will gather at Germany’s second largest AM trade fair and conference. With exciting new developments and innovations on show, we’ve put together a list of the top 5 technologies we’re looking forward to seeing at Rapid.Tech this week. With its revolutionary multi-material silicone 3D printing technology, ACEO®, a division of Wacker Chemie, has made huge strides in developing new and innovative silicone 3D printing methods. Now, the company is pushing the boundaries of its technology even further by showcasing its silicone 3D printing technology for soft robotic grippers. Soft robotics are particularly useful as it uses compliant materials to mimic living organisms and design robots with added flexibility and adaptability. What’s new: While this is not the first time 3D printing has been used to fabricate grippers, ACEO® has gone one step further with the creation of 100% silicone robotic grippers.These can be created with programmable organic geometries and easily customised to varying sizes and shapes. As soft robotics provide greater flexibility, the possible applications of this technology are endless – including medical devices, for example. 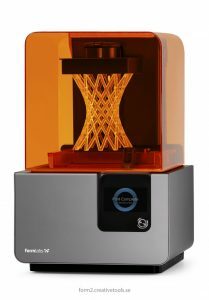 Formlabs recently made waves when the company released its new Ceramic Resin material for the Form 2 3D printer. Now, the company plans to showcase its experimental new offering this week at Rapid.Tech. What’s new: While ceramic 3D printing is still a relatively new sphere for 3D printing, it remains a very promising area of material research. Applications for the technology range from jewellery and decorative pieces to industrial valves and other components. However, the relatively high costs of ceramic 3D printing technology are a key obstacle – and one which Formlabs aims to solve by making the technology more affordable and accessible. While the system will require some trial and error to attain a successful print, this development marks a breakthrough for ceramic 3D printing. With its new FabPro 1000 SLA 3D printer and Figure 4 modular platform, 3D Systems aims to showcase its latest developments for plastic AM systems. What’s new: The FabPro system is said to push the boundaries of speed and productivity by delivering highly accurate prototypes and end parts in just a few hours. On the other hand, the Figure 4 modular platform, which was first launched in 2017, provides a modular configuration, designed to help users scale their operations from prototyping to production. 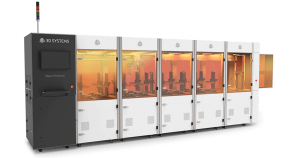 With its modular configuration, manufacturers have the flexibility to choose from a standalone 3D printer to a full modular structure for rapid, high-volume production. Solukon’s Metal AM Depowdering System offers improved powder management. 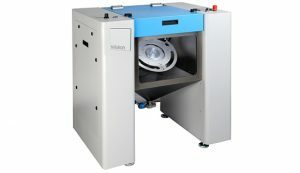 German manufacturer, Solukon, develops and supplies post-processing equipment for additive manufacturing. The company will be launching its latest depowdering solution at Rapid.Tech: the SFM-AT200. This depowdering system offers a compact unit for small-to-medium sized metal powder AM systems. What’s new: The SFM-AT200 depowdering system is a step forward for powder-bed metal additive manufacturing, as the machine offers automated removal and processing of unfused powder for small and medium build plates. In addition to considerable time savings the system offers, the SFM-AT200 also reduces inert gas consumption for aluminium and titanium powders in addition to improved powder management. Software developer, Additive Works, will be showcasing its new software module to automate support generation for Laser Beam Melting (LBM). What’s new: The new module expands the capabilities of the company’s Amphyon software by enabling users to generate the most efficient position of support structures without time-consuming trial and error approach. The new module could potentially save considerable time and costs associated with failed builds as a result of unoptimised supports.